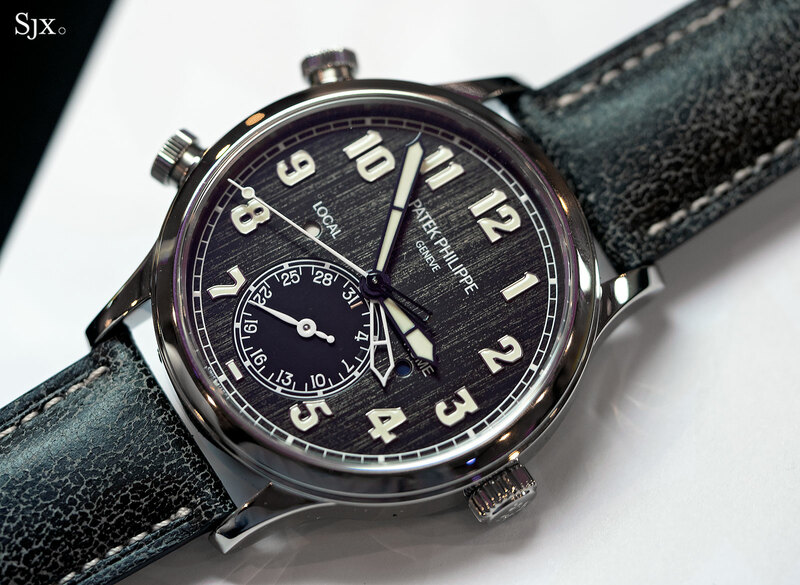 Announced just yesterday, the Patek Patek Philippe Calatrava Pilot Travel Time ref. 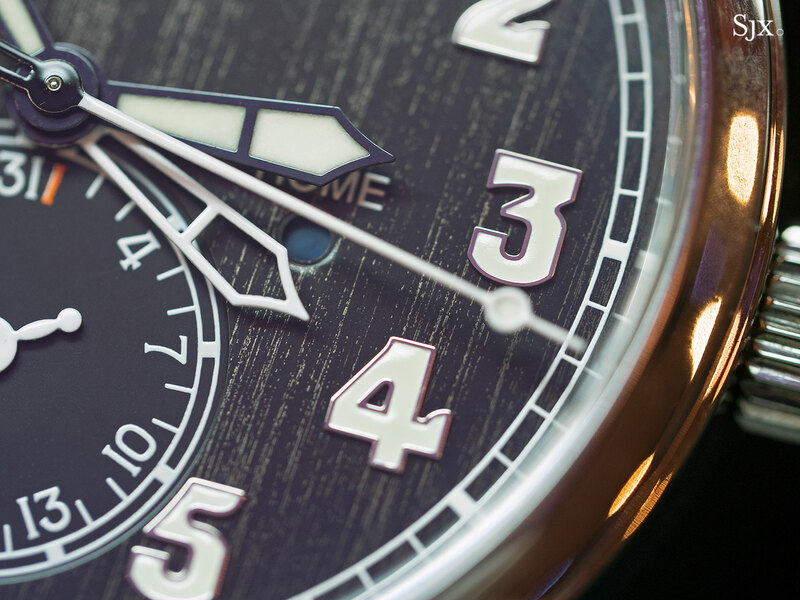 5524T-010 has a titanium case and striking, one of a kind dial, a combination put together to support Children Action, a Geneva-based charity. The non-profit was founded by Bernard Sabrier, a Geneva financier who made his fortune in private banking. 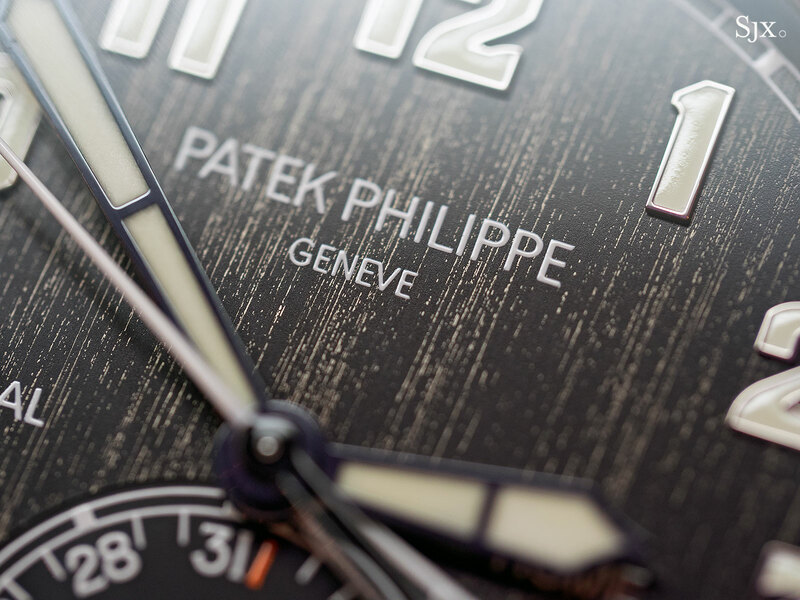 Thanks to Mr Sabrier’s influence, Children Action has benefited from a good number of unique watches sold in the past, including several Patek Philippe watches and more recently, two big ticket watches that will be sold in Geneva on May 12 and 13, 2018 – a stainless steel Lange 1815 and the unique Rolex Daytona ref. 6265 in white gold. Joining the Children’s Action hall of fame is the new Calatrava Pilot, only the 12th known Patek Philippe wristwatch in titanium. The case design is identical to the 42mm stock model, but it’s lighter in the hand. 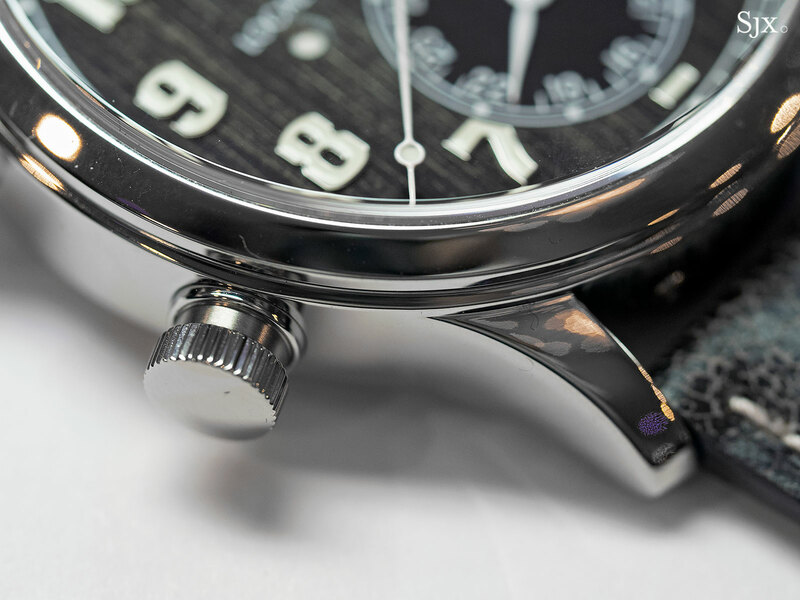 Up close it’s recognisably titanium up close due to the dark grey colour of the metal, but not at arm’s length. It’s finished with a mirror polish, front and back. 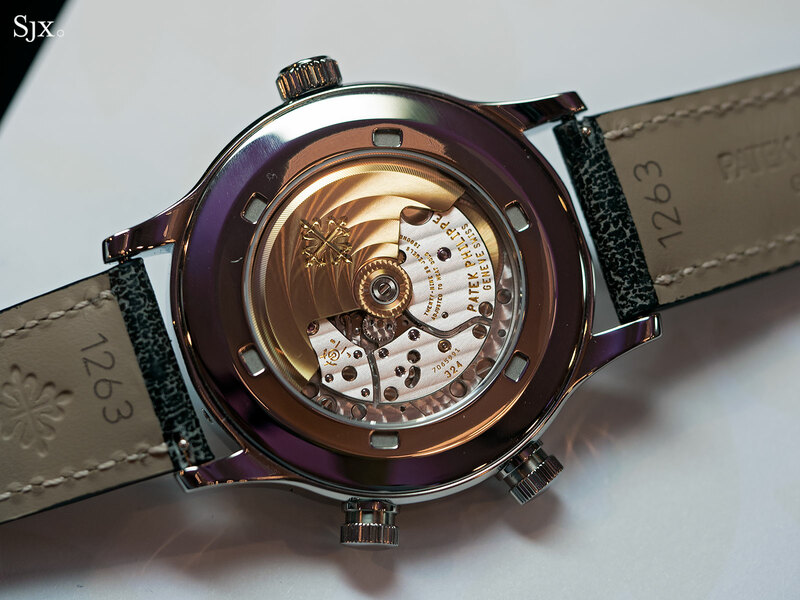 The prototype pictured here has a plain back, but the actual watch that will be sold for charity will bear the inscription “Children Action 2018” on the case back. 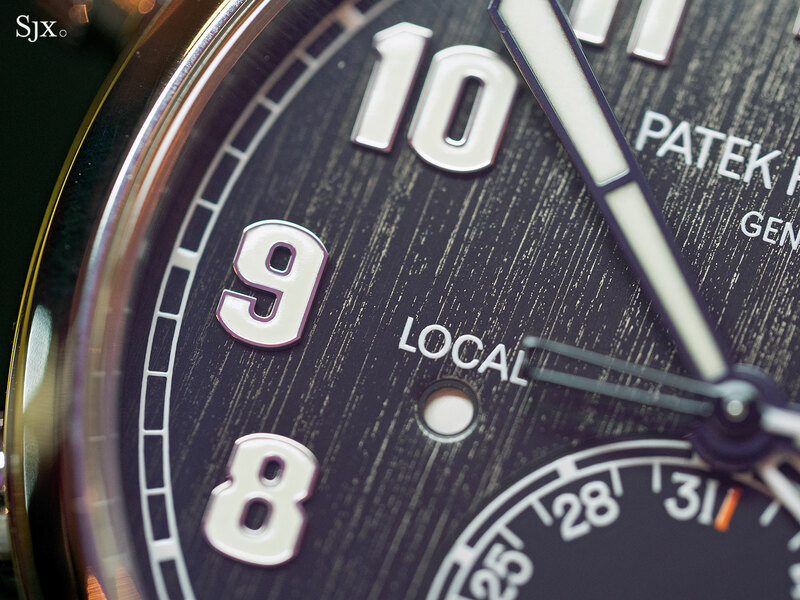 Although the case material is arguably the key point of difference, the dial is also unique, and visually distinctive, even at a distance. It’s made of brass and plated in “black nickel”, with an unusual, hand-applied finish. 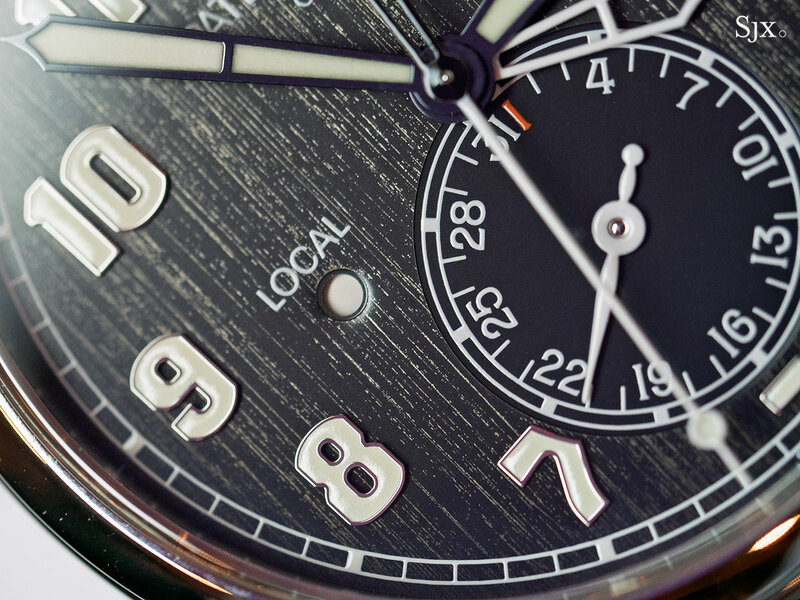 The rest of the dial is identical to that of the standard model, meaning the applied Arabic hour markers are 18k white gold, while the hands are blued steel. 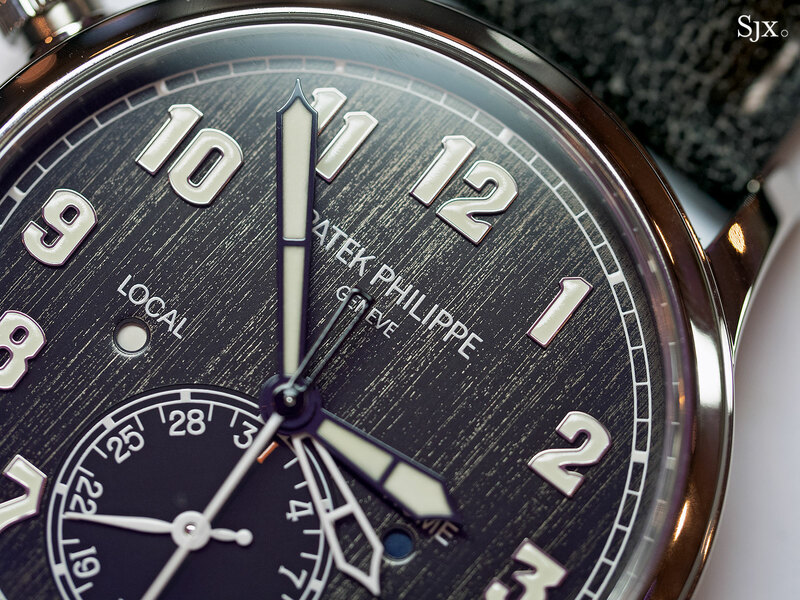 The strap is also unique to this watch, with a faux aged finish that features textured, cracked surface that matches the dial colour. 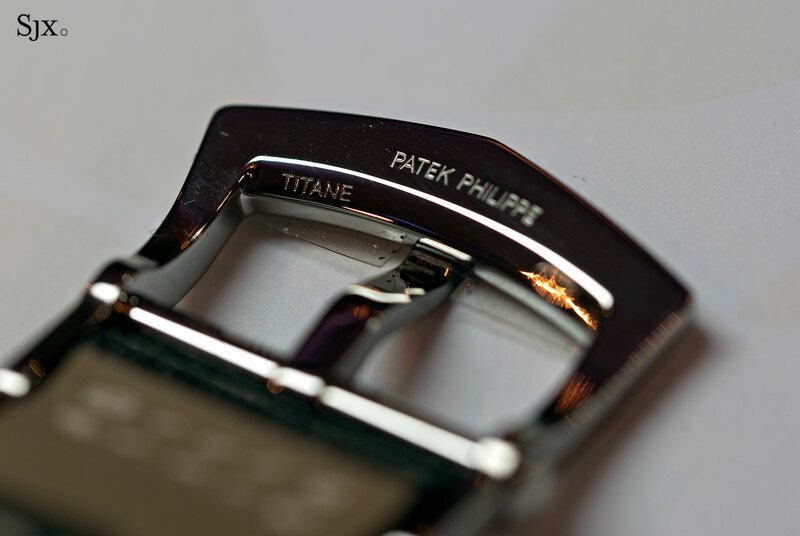 Naturally, the buckle is also titanium. 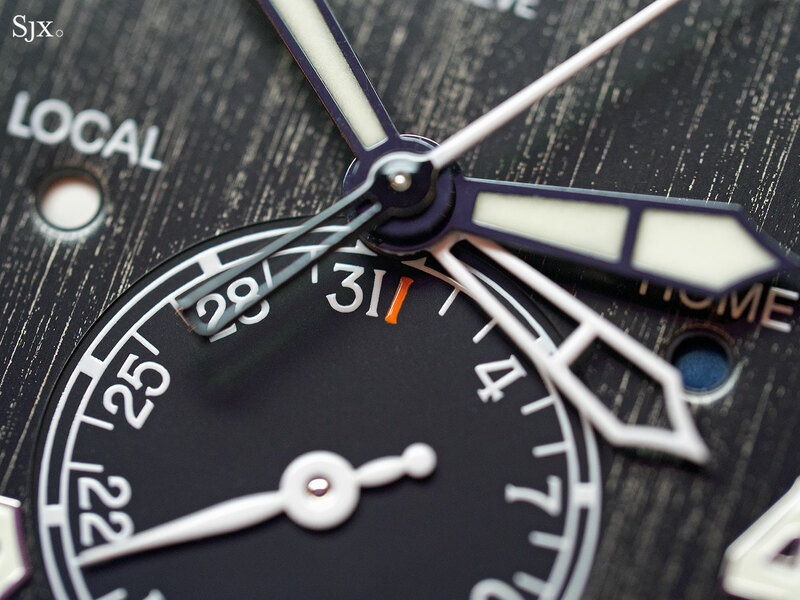 There’s no estimate on the watch, but the closest comparable, the unique Annual Calendar ref. 5396T in titanium that was also made for Children Action, sold for SFr1m in 2015. Given the greater desirability of the Calatrava Pilot versus the annual calendar, it will probably achieve a bigger number. 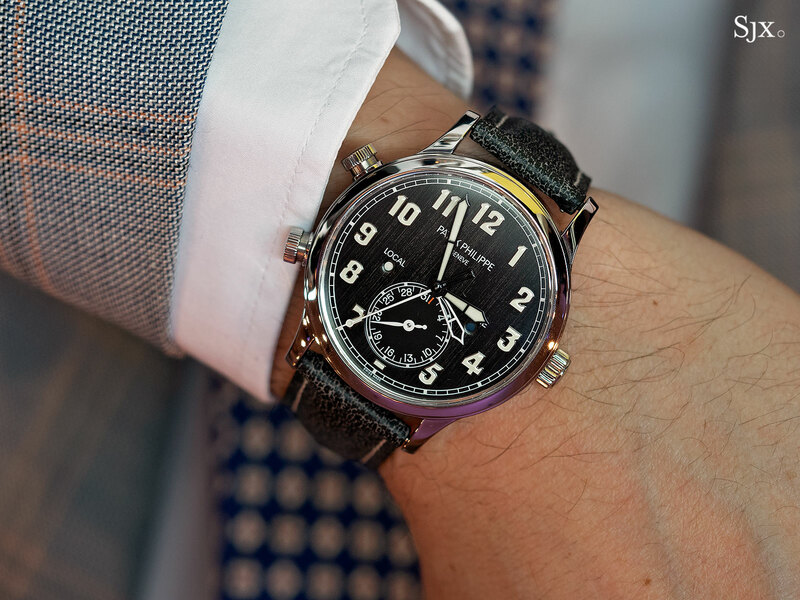 The Calatrava Pilot Travel Time in titanium will be sold at a special event on October 15, 2018 by Christie’s in Geneva. All proceeds will go to Children Action.